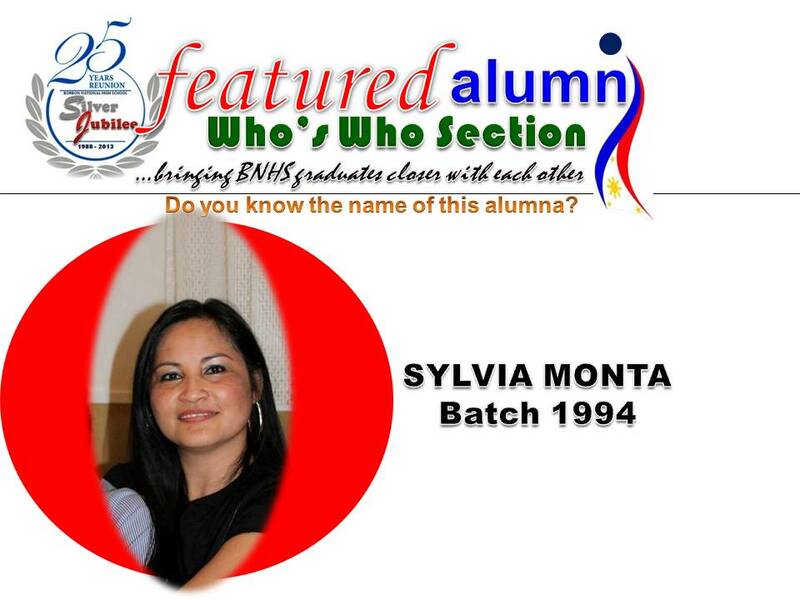 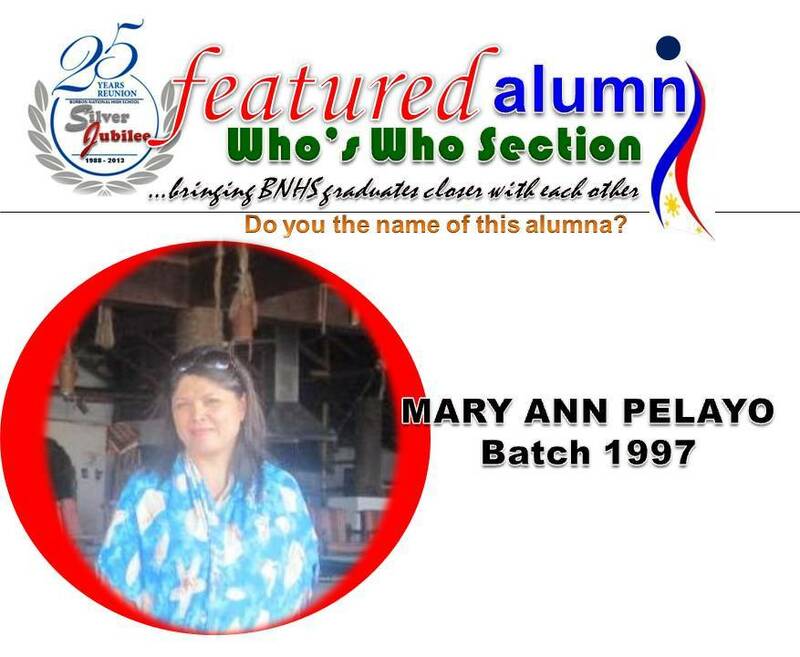 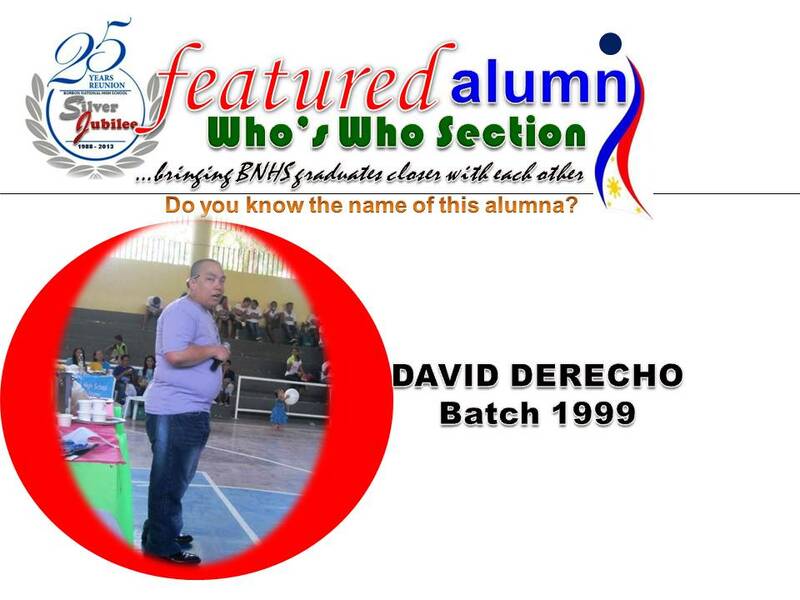 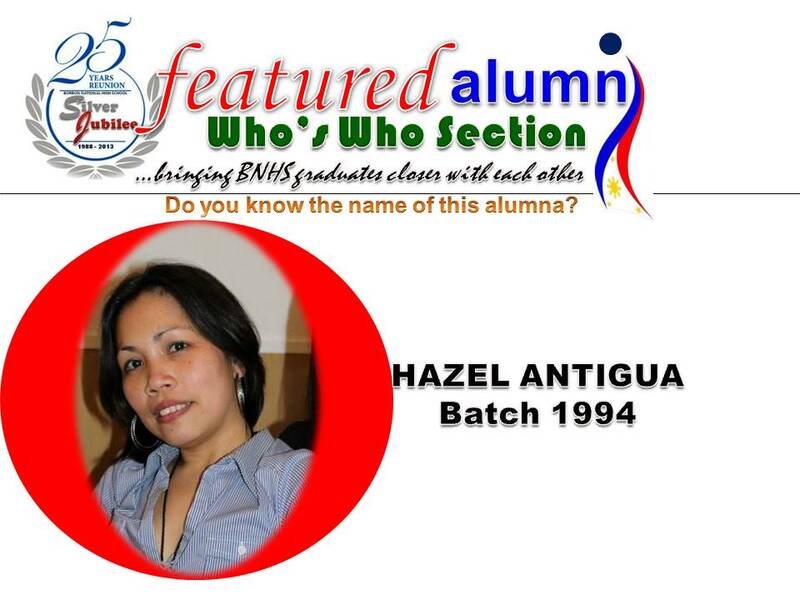 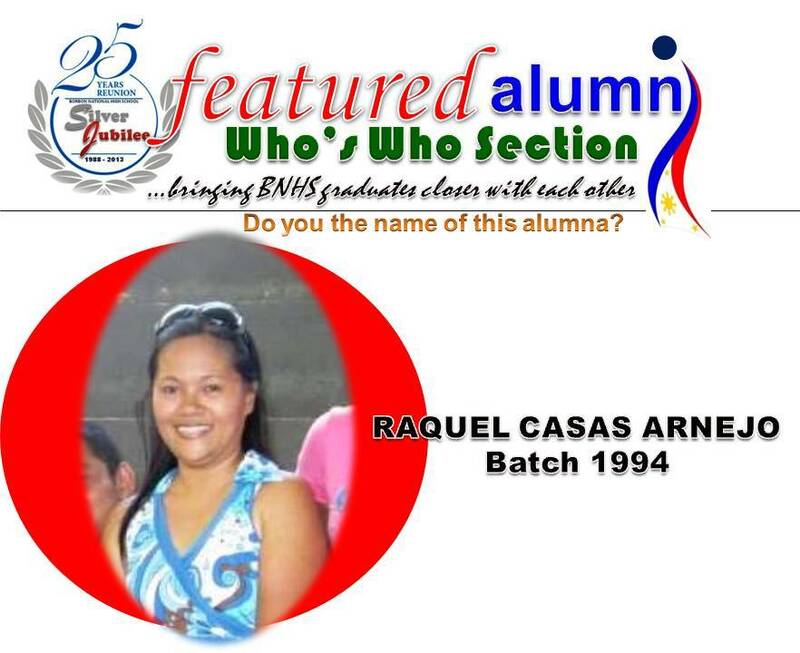 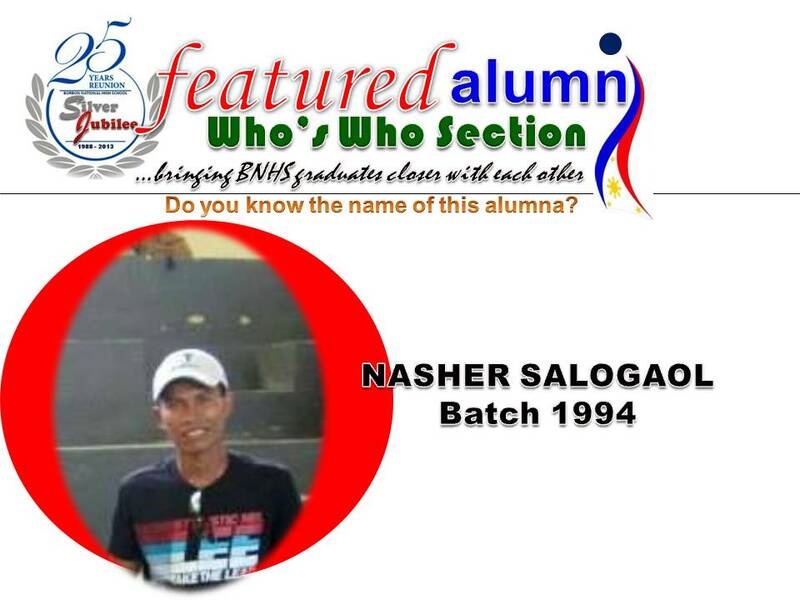 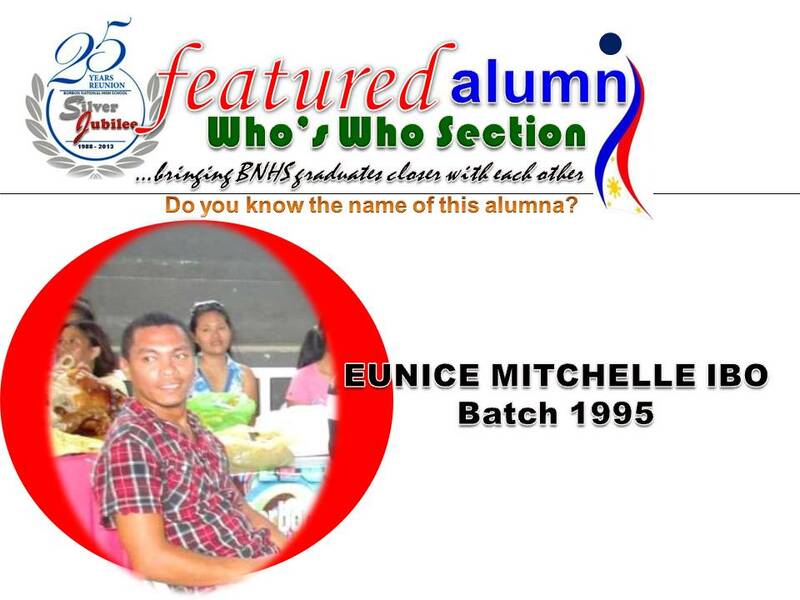 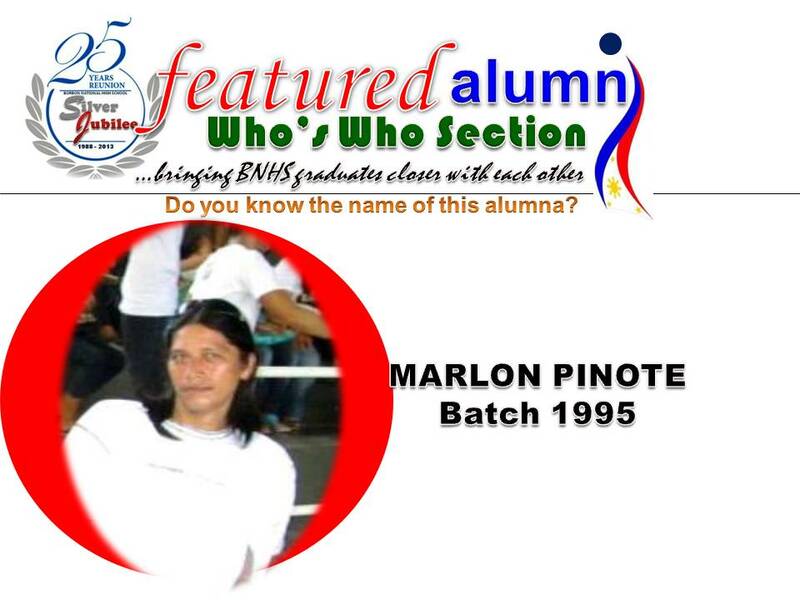 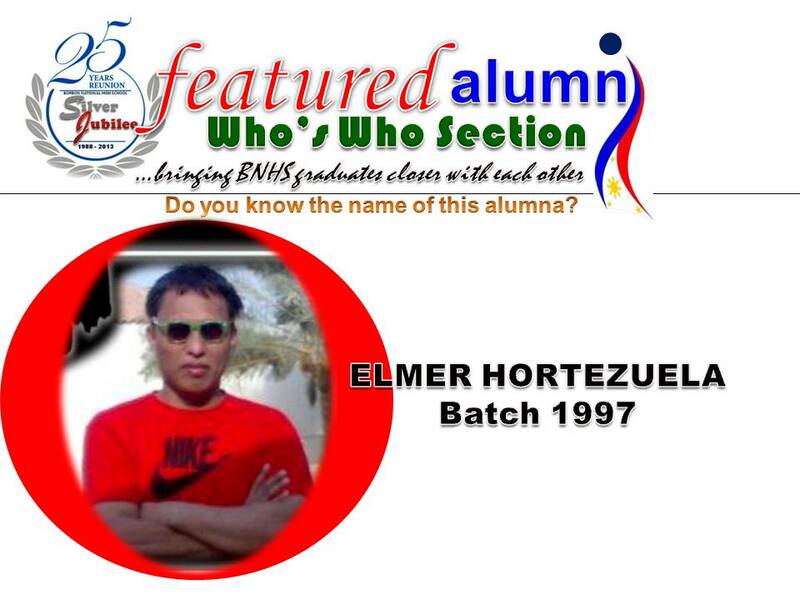 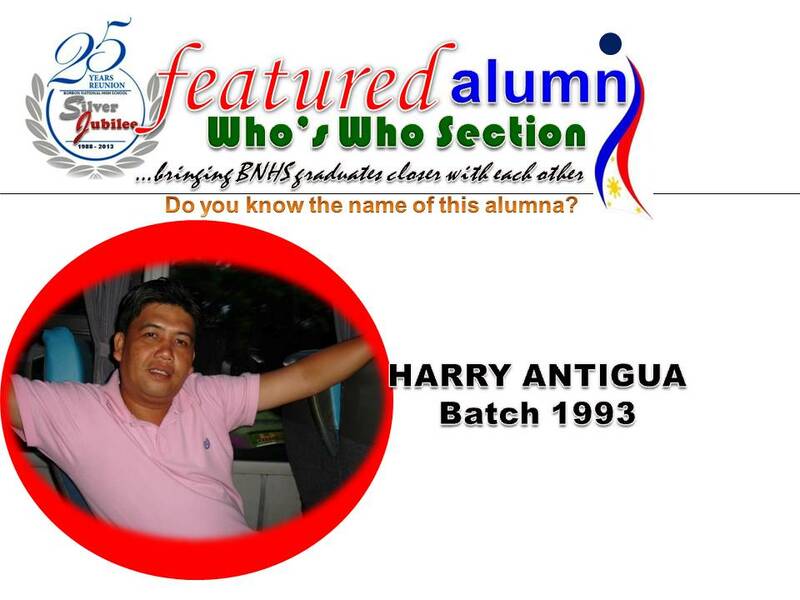 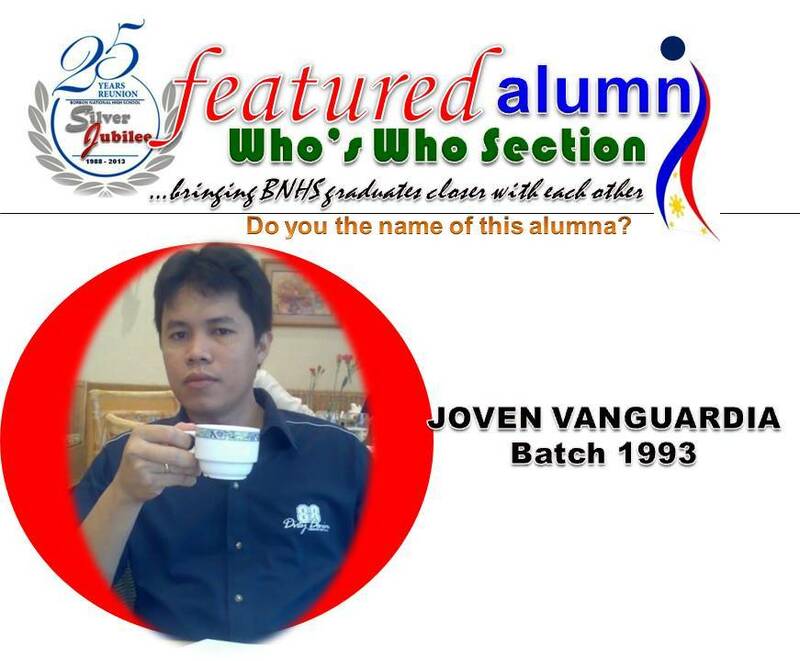 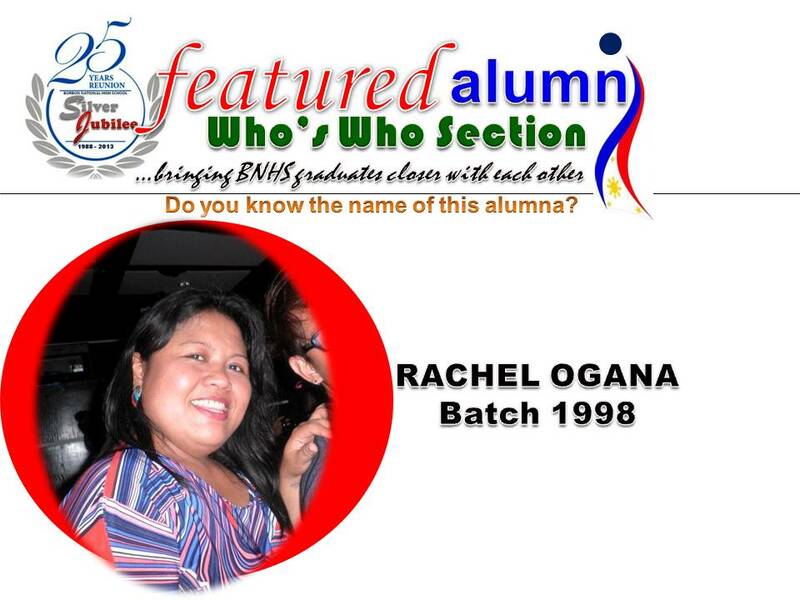 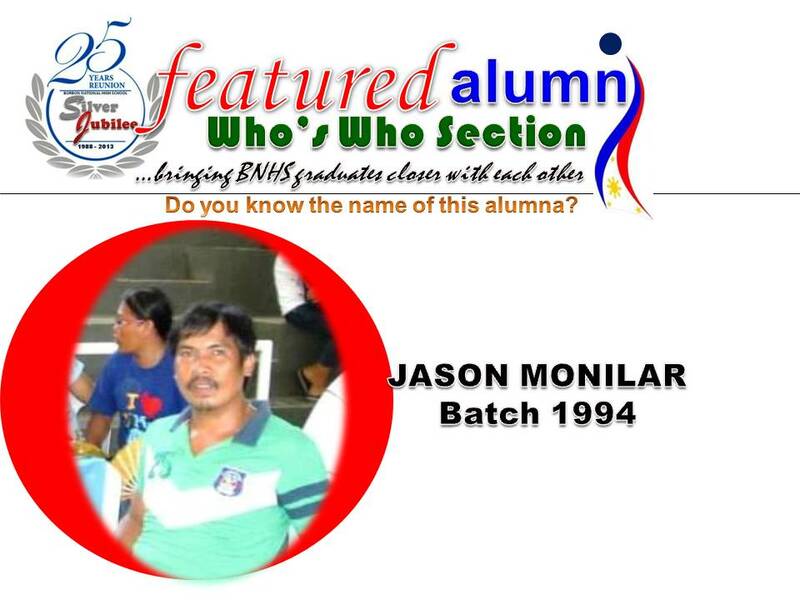 We will start introducing one alumnus to the other in our Who’s Who Section. 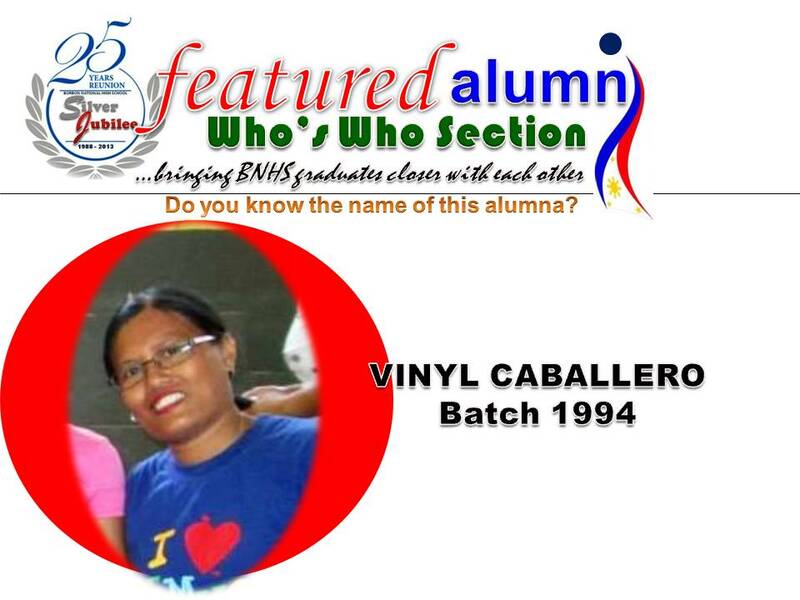 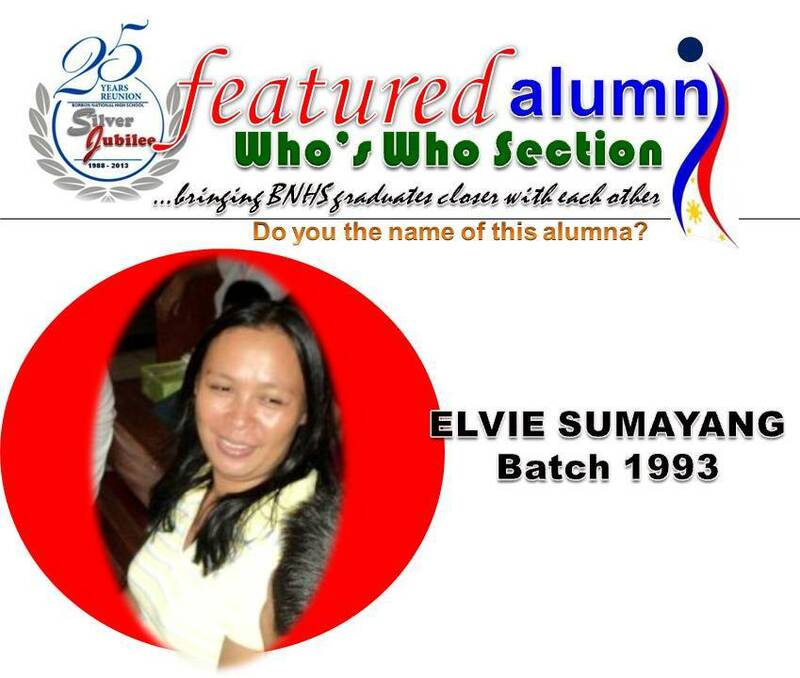 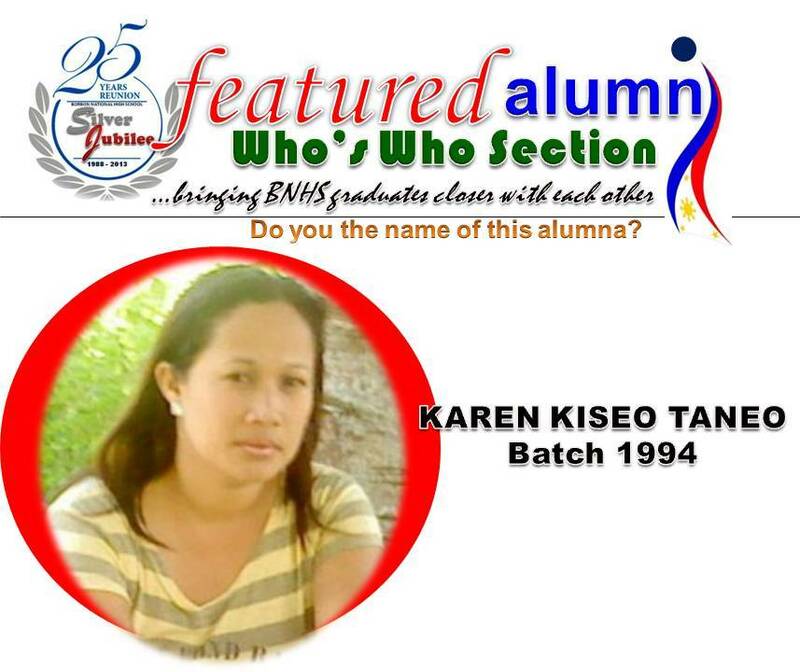 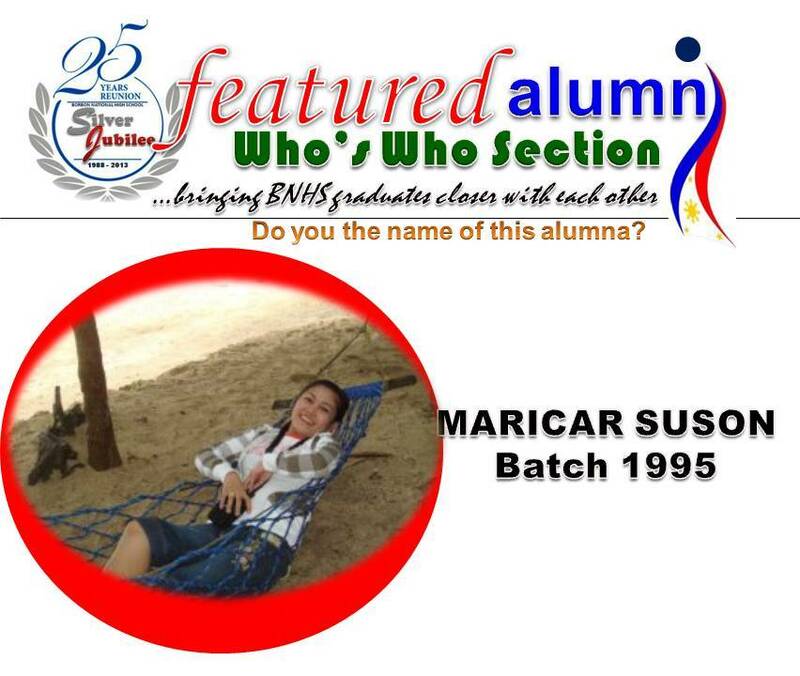 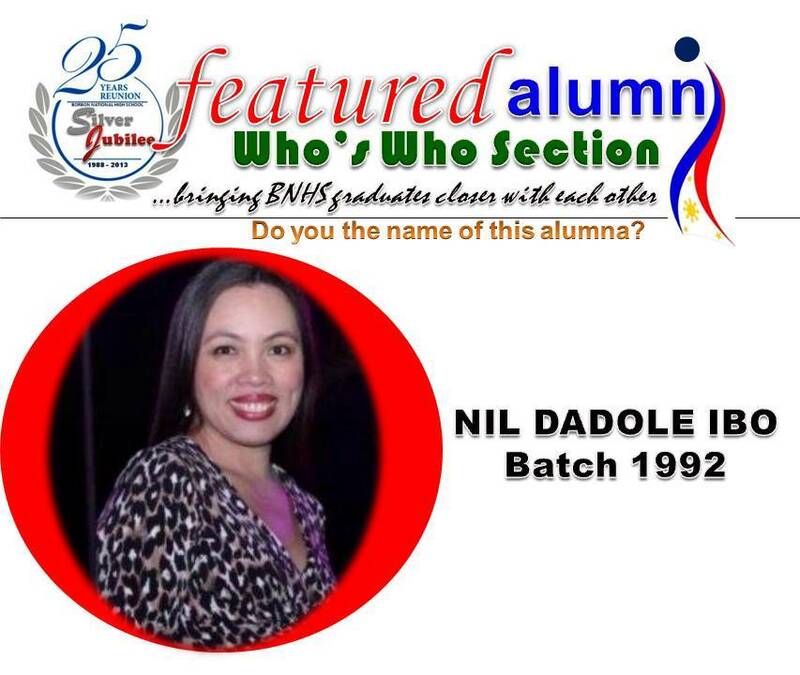 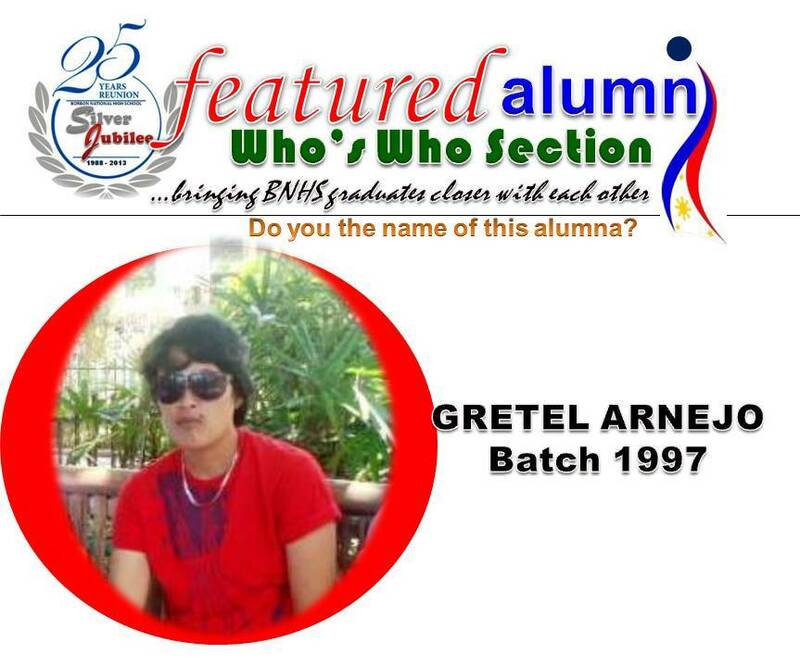 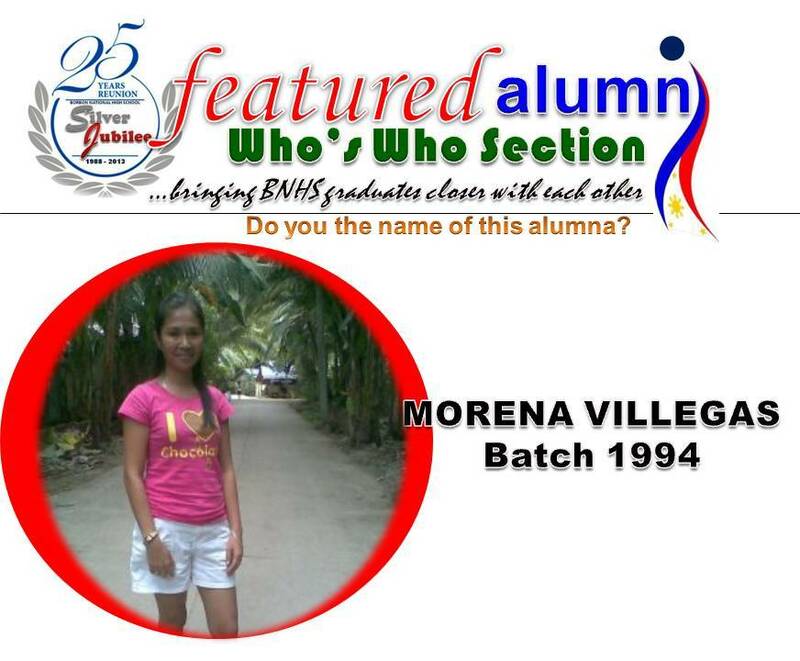 Featured alumni will be randomly published on our facebook fan page and alumni blog site. 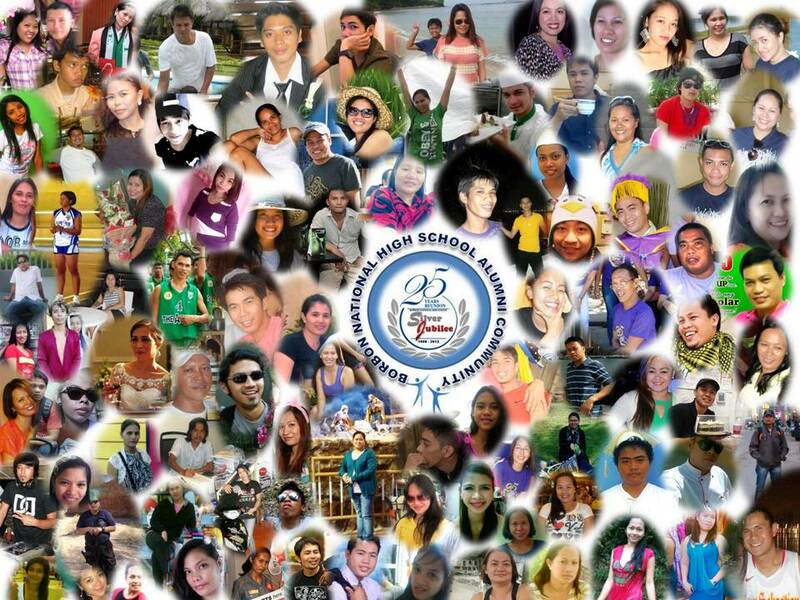 As our way of getting to know each other, we will label each photo with class year. 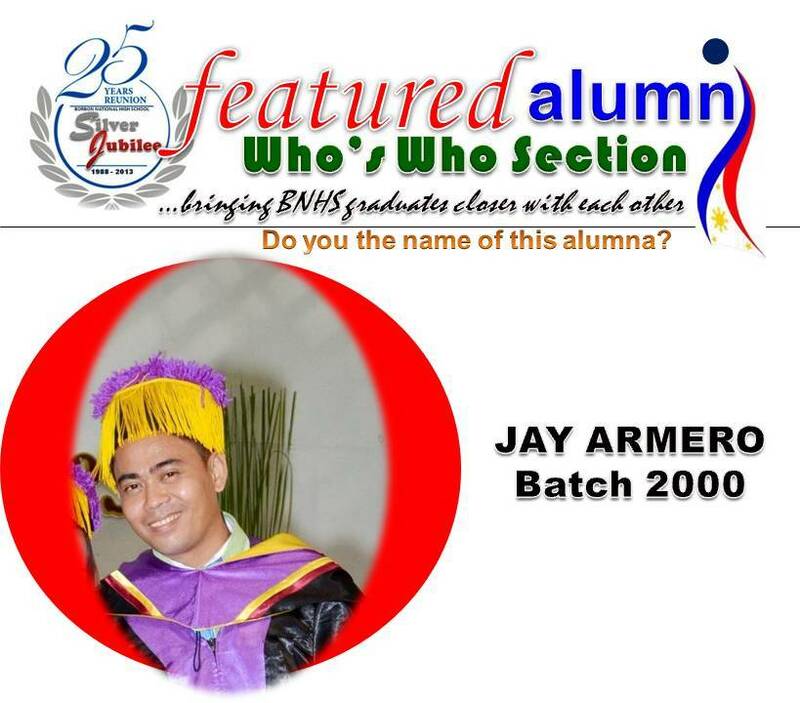 The moderator does not necessarily assume total familiarity for all graduates, hence, we would like to encourage everyone to also submit clear information to us. 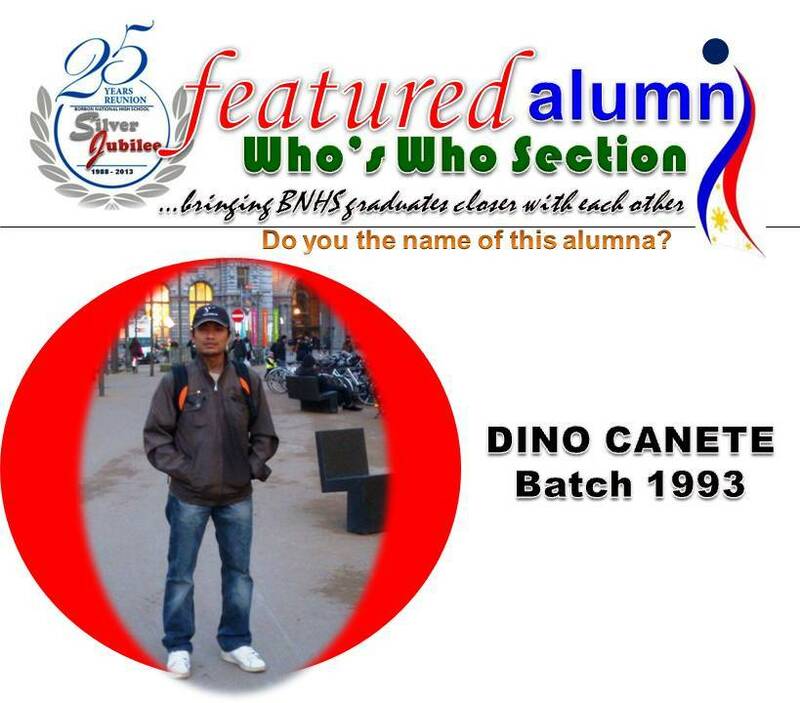 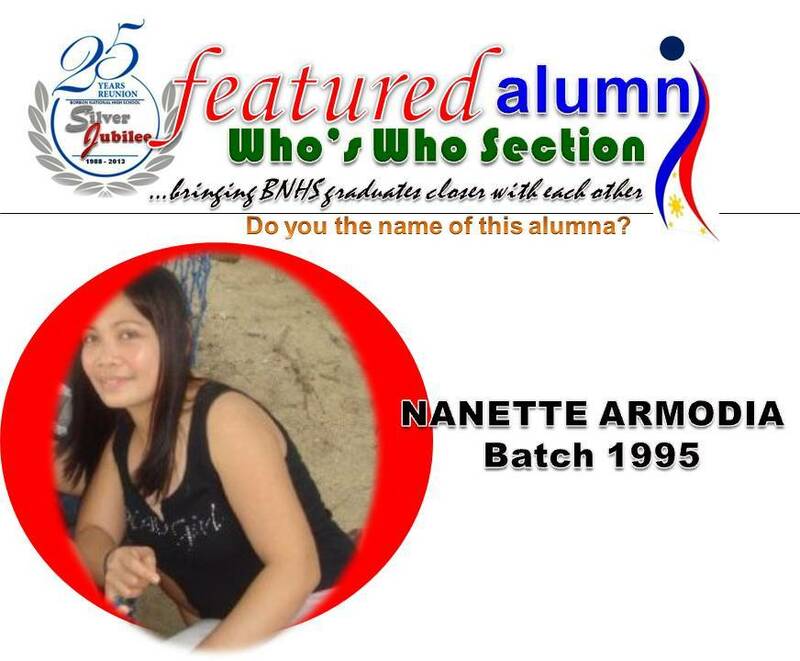 Please send your recent photo or picture of any alumnus/alumna with ‘batch’ year graduated. 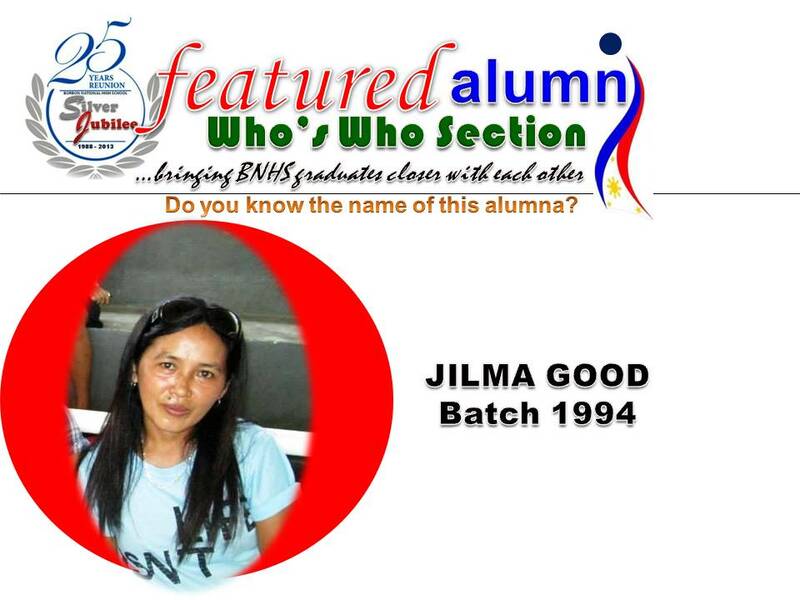 THIS IS NOT A NOMINATION OR SELECTION PROCESS but just a simple introduction among ourselves, so we will get acquainted with fellow alumni. 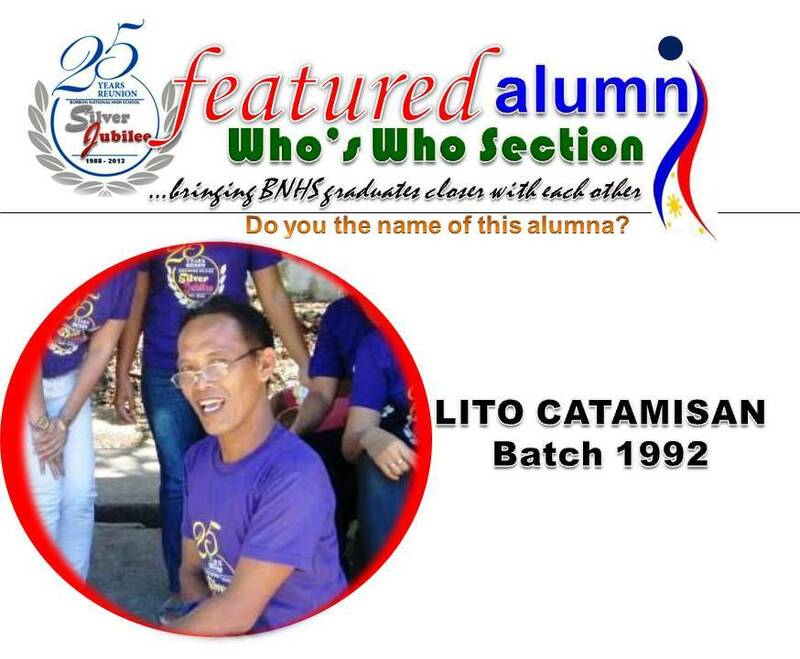 Who knows, this effort will bring us closer with each other, create a support system in our community and somehow bridge the gap of unfamiliarity amongst each other. 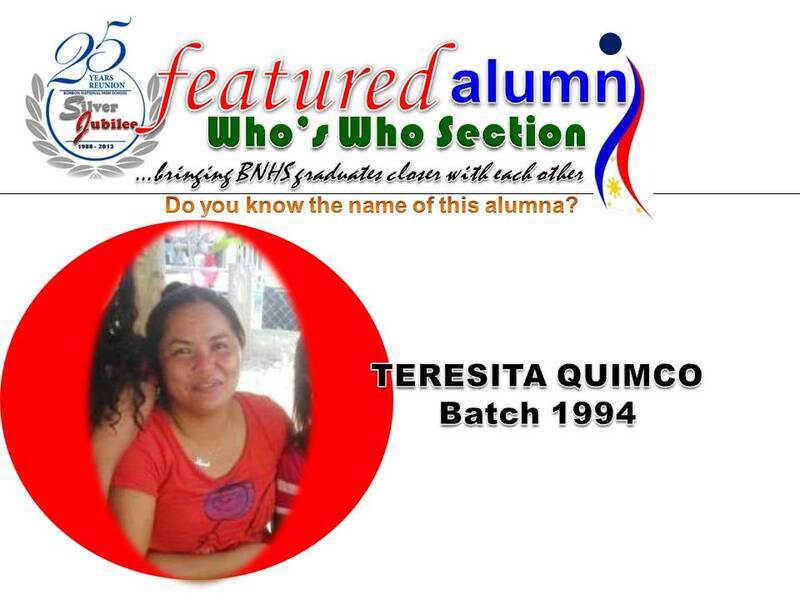 So help us introduce you to the rest of our alumni community.